There are thousands of pen designs and very few are exceptional, but even less are true works of art. 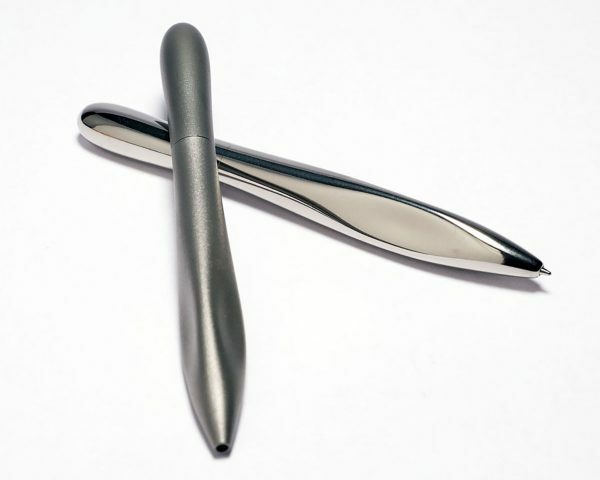 That is the case of the P22 pen designed by acclaimed architect/designer Giovanni Pagnotta. The P22 pen is a functional organic sculpture- an orchestra of beautifully calibrated curves that equally respond to ergonomics and aesthetics. Curves pinch and bend in the right position to allow the most comfortable writing experience while they define an unbelievably beautiful object. Equally impressive are the materials selection and manufacturing process. The P22 pen is the first additively manufactured pen going into production. It is grown in titanium using and advanced 3D-printing process known as Electron Beam Melting (EBM), where 30-micron layers of titanium are fused together. This highly precise technique is usually restricted to aerospace, military, and Formula One racing components. Each pen is subsequently hand-finished either in satin or high-polished finish. To no surprise, the P22 pen uses the highly reliable German-made Schmidt P 8126 ink cartridge, which combines the smooth writing experience of a fountain pen with the convenience of rollerball pen. For a limited time, the P22 pen is available from Pagnotta Design. This is a great and rare opportunity to acquire a product directly from a celebrated designer without any intermediaries. We love the idea of breaking the established model in which high-quality design is put in the consumers’ hands. 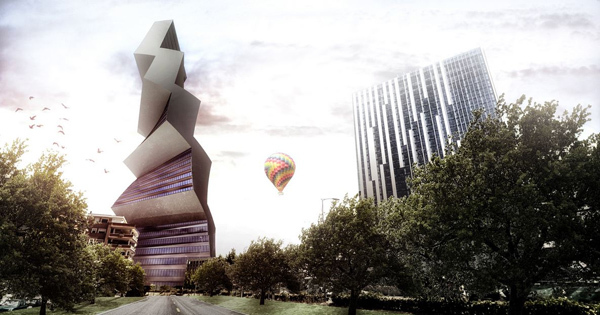 The Twilt Tower – twisted and tilted, is a design proposal by Paolo Venturella. The site for the tower is “E.U.R.” (Esposizione Universale Roma, in 1942) and is provoked by the “Eurosky tower” by Franco Purini, in author’s opinion a strange, box-like residential tower with photovoltaic panels on top, not integrated in overall design at all. That creates a design where the shape does not come out from its function, they state at Paolo Venturella Architects, and this further generates deep idiosyncrasy against this architecture. What they propose is to make it fall down and replace with a similar in the function but radically different in the shape tower. 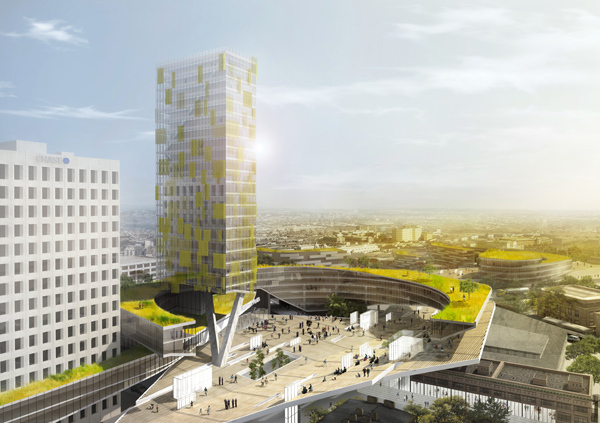 The “Twilt Tower” integrates the photovoltaic panels not just in the facade but even in the volume. The idea of tilting and rotating the panels towards the solar rays, to allow direct sun radiation during the whole day, deforms the building making the idea and the architecture a unique thing. The outcome is a cutting edge design that demonstrates how a building can express a concept in a contemporary rather futuristic way. 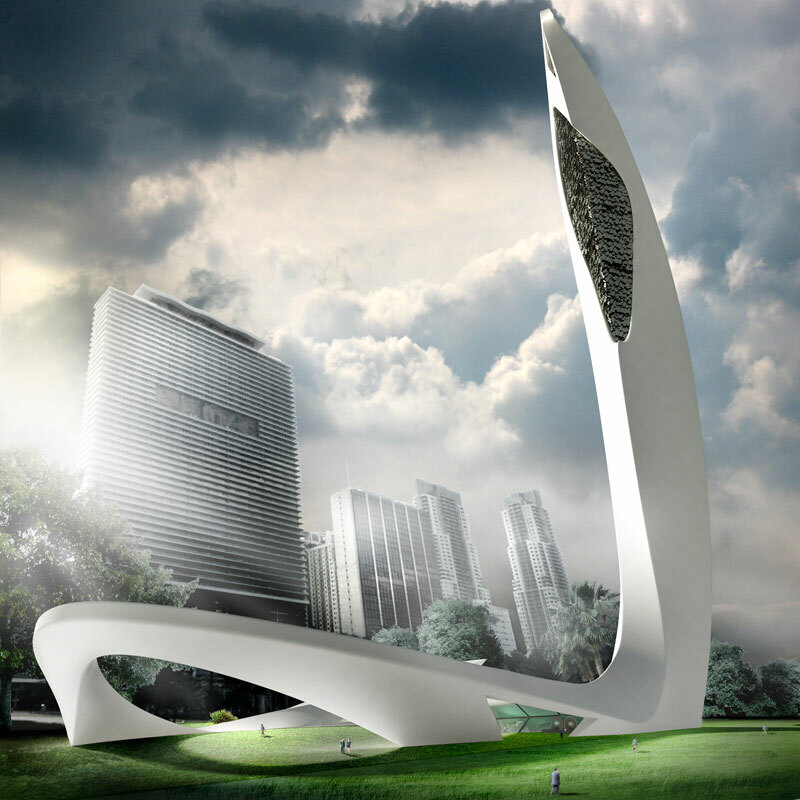 Flex Tower is visionary proposal by Italian architect Paolo Venturella for 2040. New York City, whose population grew unexpectedly and there is need for new and innovative typology. Even with significantly reduced carbon emission, the use of energy increases. Therefore, the high-rise is the only answer. A solution combining housing and energy systems for a sustainable living starts to be built in various parts of the city. In order to avoid uncontrolled invasion of photovoltaic panels all over the city, the new typology perfectly combines the need of the moment. 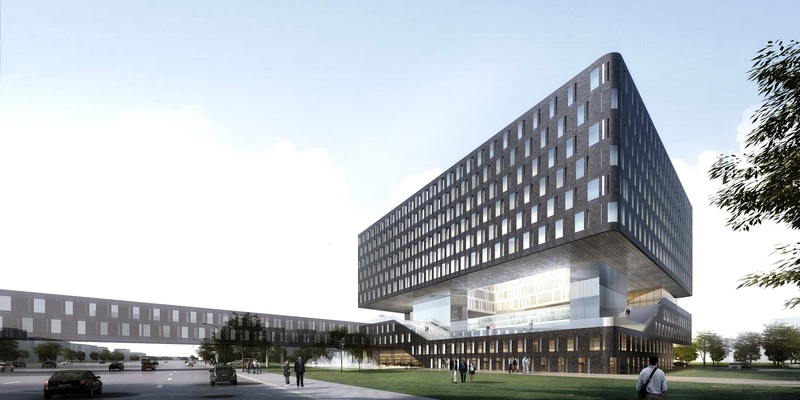 Since photovoltaic panels need a tilted surface oriented to the sun, this typology tilts and rotates itself. 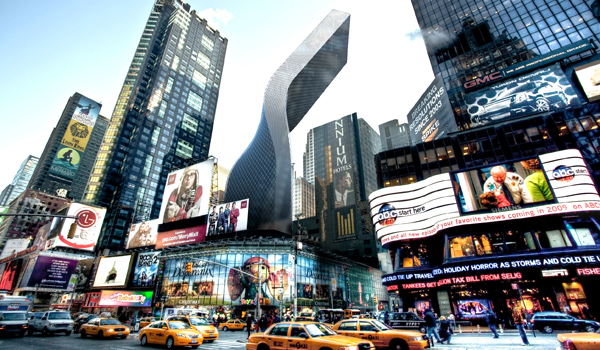 At the ground level the building respects the Manhattan’s grid while in a higher level the shape rotates facing the sun allowing panels to displace correctly. The “FlexTower” combines the rotation and the flex in an appropriate 30 degrees angle facing the sun. 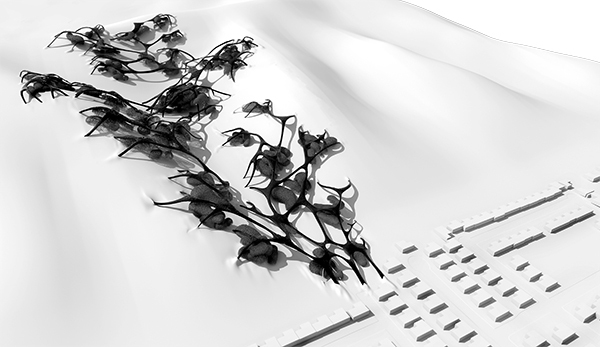 The façade works at the same time as structure and as performative skin. The structure is unique steel frame, wrapping the building. This enables very original shape challenging gravity and also to create an interior space completely free from structural elements. Technology and society are co-evolutionary processes. As members of the creative vanguard of society, architects and designers are in the position to influence the direction of technology through their work. Drones, like any technology, are not inherently good or evil, but can be purposed for both good and evil ends. This project was undertaken in part to show one of the many peaceful applications which drone technology can be applied. The building designed by Woods Bagot gives concrete expression to James Cook University’s aim to become one of the world’s leading research universities in the tropics. As a repository of regional knowledge and research capacity, the institute will be perfectly positioned to make a significant contribution to the development of a sustainable quality of life for tropical communities. 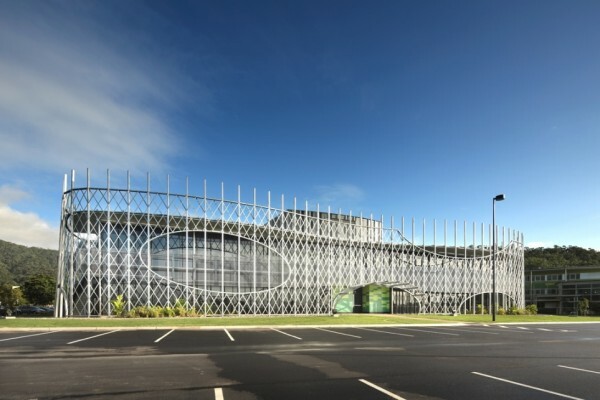 A truly imaginative and integrated design solution that was distinctive and uniquely desirable to the university’s community was paramount. Hollywood, CA architectural firm, 5+design, conceptualized the retail and civic areas for the 3.3 million square metered Yongsan International Business District, a project that represents the largest single development in Seoul, South Korea and perhaps the world. 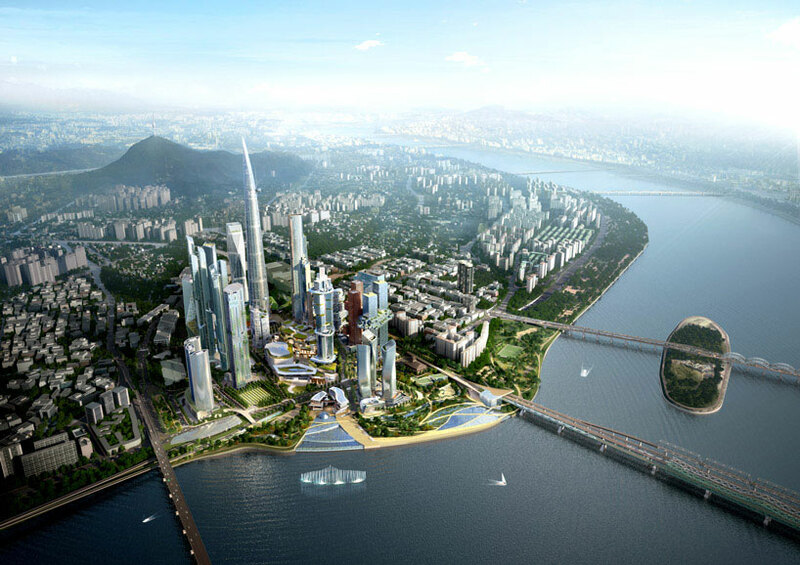 The central retail spine components integrate the buildings with the landscape and the Han river. Street-level retail structures are three to five stories tall and arranged in clusters like villages. 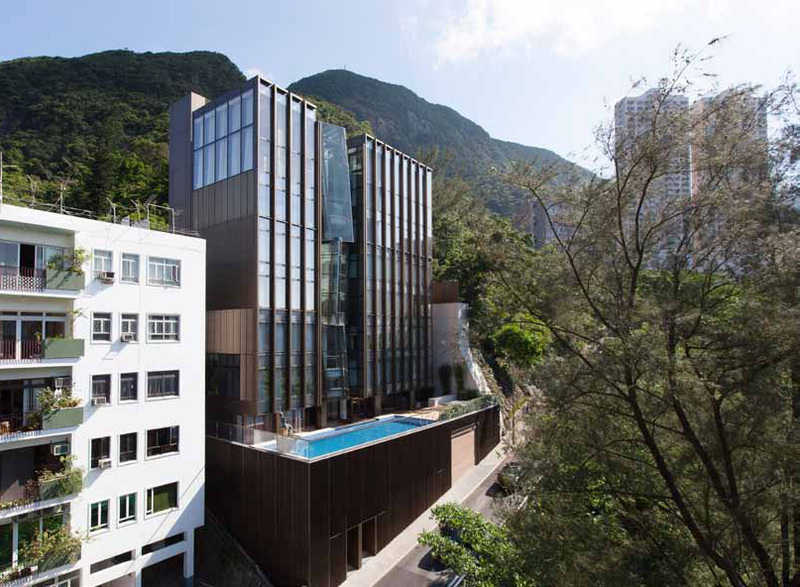 Located at a hillside on the Hong Kong Island, this nine-storey private residence is set within an urban yet relatively low density area. Aedas designed a sculptural staircase that resembles three stacking ice cubes for the building, creating a sense of drama for the art-loving residents. Today the name Main Street represents the only geographical location of the passageway with no true meaning of its centrality to Lafayette’s urban organization. An exemplar of a suburban city, the core of Lafayette is too weak to organize the periphery, causing social and physical disintegration of the center itself and of the outskirts. Bearing on this condition we propose a hybrid system, which integrates public space, service and residential functions, existing potentials and new civic infrastructure into one synergy, that would recreate the core of the city. Avis Magica in Latin means “the magic bird”. The term “magic” comes from the city of Miami which is known as “the magic city”. Considering that the population grew from 1,000 to one million residents in just 100 years, we can say that the city “took off” like a bird. The resulting concept of “magic bird”. Analyzing the work of Constantin Brancusi ‘Bird in Space’ we observed how he stylized the bird, making a simple but elegant form. Armarada did the same thing while integrating the human image thus resulting the final form of the building. “Avis Magica” was built as the tallest building in the area 335 meters ( 1099ft ) and proposes a new concept: “vertical nature”. It incorporates: a museum at the below ground level, dedicated to the city’s wildlife, an outdoor concert stage, a 120m tall aquarium water which is pumped and filtered directly from the ocean, an area of islands with tropical vegetation located above the aquarium, an area that generates artificial rain clouds at a time, the observation deck and the “wings” of the building – made up of a multitude of “feathers” that vibrate at wind action, producing electricity.